Marc is an entrepreneur with more than 20 years management experience, including experience in starting and managing businesses in various fields. His entrepreneurial experience lead him to the world of legal innovation, which includes making sure that the legal side of businesses is managed properly, both from the technical and from the legal (compliance) side. Marc's main expertise is in the area of software solutions and technologies of cooperation. He holds both an engineering and a business degree, and was recently obtained a DPO certification from CNIL, the French Data Protection Authority. Jean-Christophe is an attorney at law with 17 years PQE (Bar admission : Paris). He focuses both on HR data protection related issues and data protection compliance in the financial sector thanks to his former experience as a HR director and General counsel in several banks and investment firms. 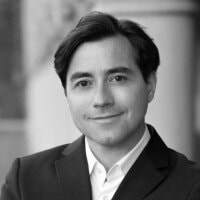 Jean-Christophe has experience in advising software companies including designing a multi-lingual privacy management software implementing GDPR requirements. He holds a Master degree from Stanford Law School, several law degrees (France, Italy) and a business degree. More recently, he obtained a DPO certification from the French DPA.